This has to be one of my favourite colours of all time and i can think of so many ways of wearing it. Primark have similar cheaper ones however if you have a larger chest area like my self then your best bet is the topshop ones since they hug your curves better. they have all sorts of colours as well so dont worry if this one is not 'you'. 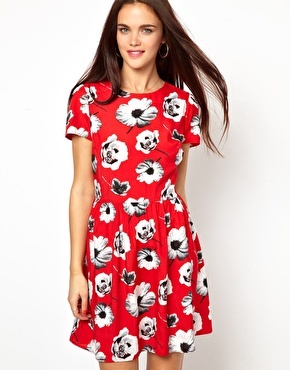 this so doesnt look like a primark dress but it is and i want it. I didnt even know primark was on Asos and this is good news since it means that we can now see what they have in stores, get 10% off and free delivery. couldnt ask for more i swear. Ok so everyone i have shown this dress doesnt seem to appreciate it as much as i do so you will all have to give me your opinions on it!! 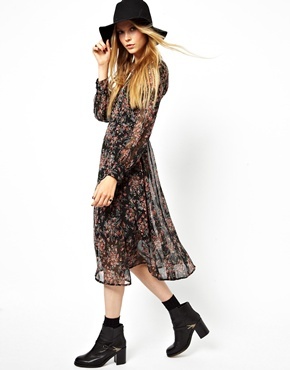 This dress is not something i would normally pick out for myself but when i was browsing the asos website and came across it i just wanted it to be a part of my autumn winter look this year!! I am loving these shoes atm and i need them in my life. They are perfect seeing as how they are black and so would go with everything and i have to say they thing that makes them amazing is the detailing around the heel and the little strap. Arghhh i want them now!!! Sorry i havent been taking any outfit pictures but i had an eye injury and then root canal so as you can imagine i could not take any pictures at all. But i am back and fine and feeling great now :). Only down is the fact that i am so broke and i cant go shopping. thought me and my sister had a cheeky 20 pound shopping challenge so a haul will be coming up soon!!!. But Other than that, i have done a lot of online wishing. I have promised to treat myself every time i get paid and so here are my top 5 items on my summer wish list. And i know not all the items are summery but they are all me. what is on your wish list this summer? I have the whole range of those topshop camis on my summer wishlist too! I did get a bit desperate a couple of weeks ago and got my hands on a replica from new look, minus the cute little v neck, then found the primark one- typical! aha lovely blog! giving you a follow, would be lovely if you would check my blog out too! yeah. i think i am going to have to treat myself soon.